Lukla airport, also known as Tenzing-Hillary airport, is often referred to as one of the most hard and risky airports in the world because of a short runway (527 metres) and challenging terrain. 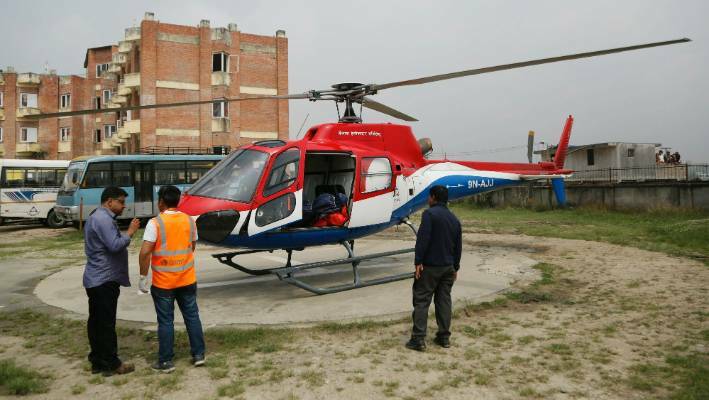 The paper said that "the deceased include Summit Air's co-pilot Sunil Dhungana and Assistant Sub-Inspector of Police Ram Bahadur Khadka, who was stationed in Lukla for airport security". The airport can only handle helicopters and small, aircraft such as Pilatus PC-6 Turbo Porters, DHC-6 Twin Otters, and Dornier Do 228s. They are receiving treatment at Grande Hospital and are said to be out of danger. The airport is often referred to as the world's most risky because of the short runway and hard approach. The European Union has banned all Nepalese Airline flights on its airspace over safety concerns. However, the identity of the people killed in the crash is still unknown.